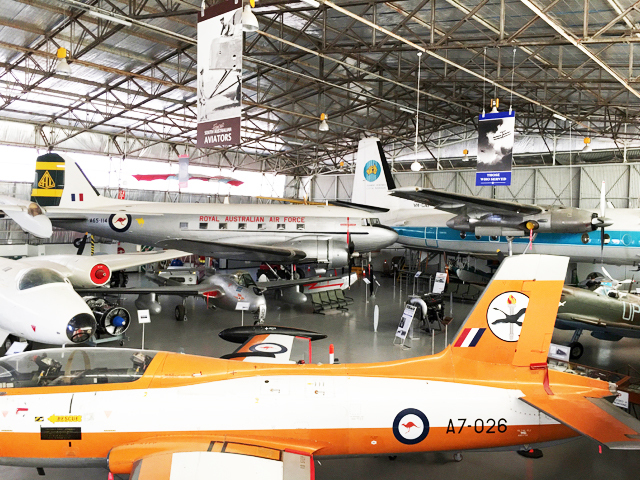 Late last year, we visited the South Australian Aviation Museum while visiting family and friends in Adelaide. The SA Aviation Museum is run entirely by volunteers who are true aviation fans and members. As soon as we entered the museum and were greeted by volunteers at the counter, we knew that the museum was run by a team of people who were very passionate about aviation. We were taken away by the quality and sheer size of all the planes as soon as we walked into the hangar. The kids kept pointing at all the planes! 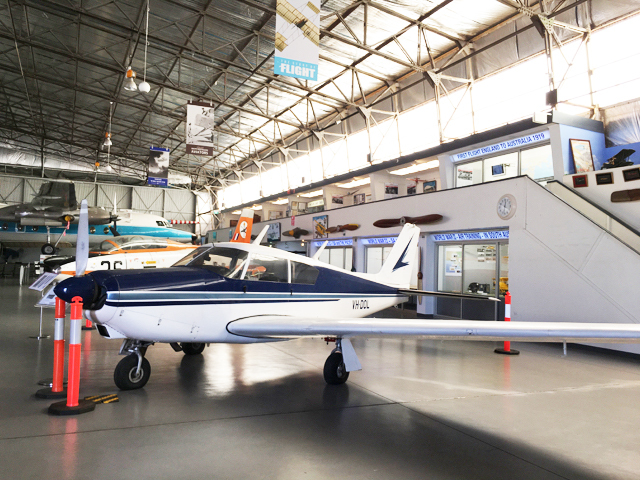 The SA Aviation Museum has over 20 aircrafts on display which you can see, read about and the best thing for the kids - you can climb aboard some of the planes! We climbed aboard all the planes and loved it! 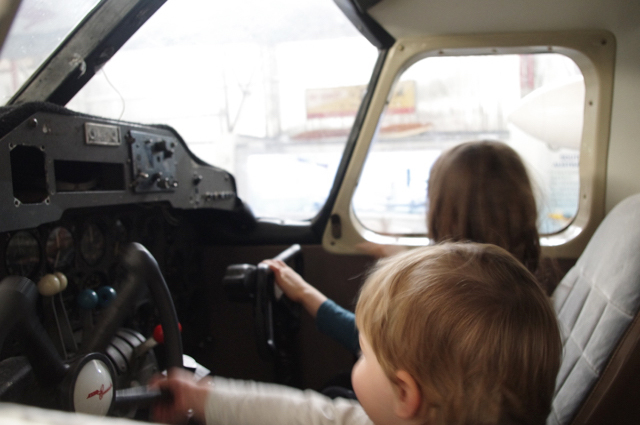 The kids jumped onboard the Aero Commander (shown below) and loved being at the cockpit and flying the plane for ages! The SA Aviation Museum's collection keeps growing with new planes being worked on and added to the first and second hangar. We loved jumping aboard the Royal Australian Airforce's Douglas C-47B via the Qantas steps minus the actual flight ha! You can peer through the plane's windows, checkout the cockpit and read up on this very interesting plane. After the plane visit, Little Mister wanted to ride a baggage handle car and little Miss an arcade plane - both had fun which was a win win for me considering I was flying solo with these guys for the whole Adelaide trip! We visited the inside of the Fokker F27 Friendlship craft and its cockpit which was very interesting too. We then walked around the museum and read up on all the history and looked at the other aircrafts. There is a second level of the Museum which is dedicated to the history of certain aircrafts present at the museum but also talks about the world wars some people endured, women pilots and more. While you are visiting, lookout for a cute little bear hiding in one of the aircrafts. At the time we visited which was in September last year in 2017, the second hangar was a work in progress and some aircrafts were being worked on. They are currently working on the Orion aircraft and the latest news indicated that some more changes were underway for that aircraft. We managed to see the Westland Wessex Helicopter and the DHC-4 Caribou Light Plane in the second hangar and were able to enter the interior of the Caribou which reminded me of army movies and the inside of the Helicopter was also very interesting to enter. Don't forget to visit the Museum Shop and pickup some great aviation toys on your way out and most importantly support this great group of volunteers. 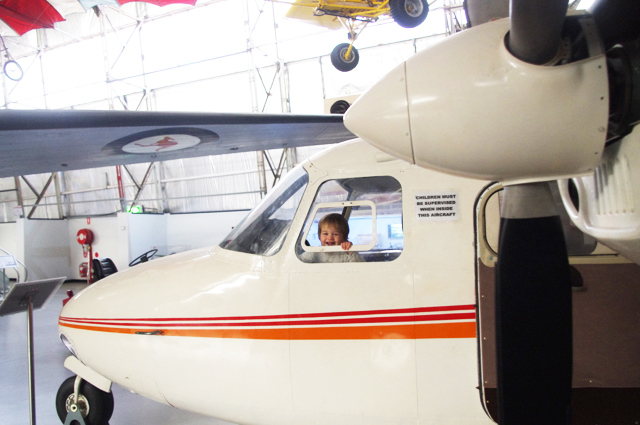 All and all, we loved our visit at the South Australian Aviation Museum! Who doesn't like to jump aboard an aircraft, play pilot, learn all about aircrafts and still stay on land! This place is a must visit on your next Adelaide visit! The South Australian Aviation Museum is located at 66 Lipson Street in Port Adelaide which is about 20-30 mins from Adelaide city. The museum is open every day of the year except Christmas Day. It is open from 10:30 am to 4:30 pm. The museum is run entirely by volunteers. Admission to the museum is as little as $10 per adult, $5 for children 5 to 16 yrs, Free for kids under 5 and $25 for a family of 2 adults and 3 children. The museum is pram friendly however you cannot take your pram on the planes or on the second level of the museum. We left ours next to the toilets and walked around the museum. There are toilets onsite as well as free parking. Busy City Kids visited the South Australian Aviation Museum at their own expense for entry fee, transport and all. Our opinions & feedback are always genuine & truthful. 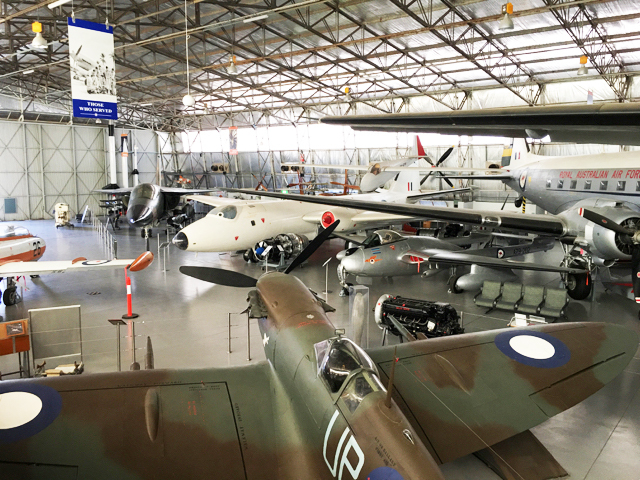 For more information and up-to-date events news about the South Australian Aviation Museum, head to their website.